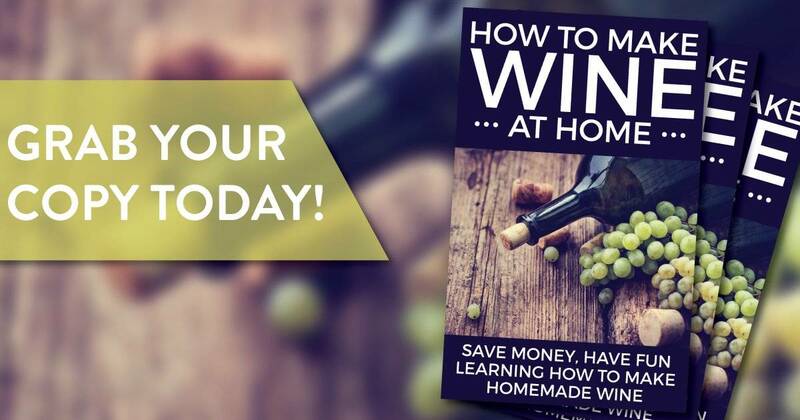 So you want to make wine at home? Great idea! Making wine is one of my favorite pastimes. It’s a relaxing hobby that people L O V E sharing in. If you’ve got a plot of land big enough to grow grapes in, I highly recommend picking up this craft. And by the way, grapes grow on a vine, so you won’t even need that much room! 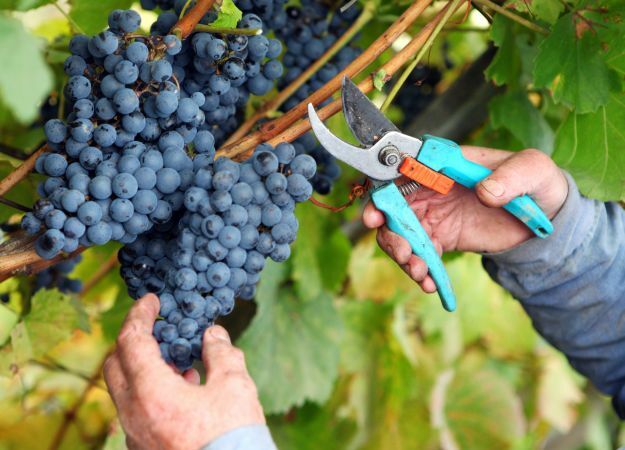 This article will provide everything you need to know to get started growing your own grapes and making your own wine at home. If you want to make wine step by step, I highly recommend this tutorial: (HERE). Wikihow knows all. Let’s begin with the grapes. Here are some tips on getting that grape vine going. Think about your location. Grapes can grow anywhere in zones 5-9, which is everywhere but the Northern-most states (see map). Remember that grapes need sun all day, and clean well-drained soil. You’ll also need a trellis of some kind to lift the grape vines up off the ground, You can order one or build your own. They can be freestanding, up against a wall, or an arbor over a walkway… this is your home – put one wherever you would like! Check out this video to make your own grape-growing trellis! By the way, this article HERE offers some great advice for getting those vines to grow on the trellis. Train your grapes to grow along the desired route. Now You Can Make Your Own Wine! Here comes the the fun part… Making the wine! Once your grapes are ripe on the vine, you can start the wine making process! Of course, indulge in eating some of the grapes too. Look for fresh bunches of grapes that are uniform in color. Not sure if they’re ripe yet? Pluck one off and give it a try! Grapes do not continue to ripen after plucked, so pick them only once they are ready. So how do you go about actually making the wine? Well, I could tell you, but there are so many finicky tips & tricks that I’d rather let these guys tell you… My friends at growandmake.com are wine making experts. I highly recommend purchasing a wine making kit from them to get yourself started. A kit is helpful because it comes with EVERYTHING you need, and instructions that you can print out! I also suggest you watch this video to learn how to make your own wine. It’s a home video, but the guy really knows what he is doing and is a joy to watch! Thanks for the tips, Antonio! This resource provides some pretty good tips too: (click here). It’s best to store wines in dark glass for preservation. Err on the side of dry over sweet when adding your ingredients as you can always add more sugar later, but not the contrary. I’d also recommend getting your own wine press. Once you make your wine, you’ll have to bottle it. You’ll know the wine is ready for bottling once it looks clear and stable. Keep splashing to a minimum. You want very minimal amounts of air to disturb the wine. Stop filling just under where the cork will rest. Once bottled, you’ll need to store your red wine for at least 6 months before drinking. You’ll need to store your white wine for at least 3 months. Keep them in dark cool places where you know they won’t be disturbed! Once you make your wine, and wait out the designated amount of time…. you get to drink it! Next on our list is enjoying the wine. Don’t have a bottle opener? There’s always the old shoe & wall method! Since I love wine, I couldn’t just stop there… I had to think of some cool craft ideas for all the leftover corks that we collect over time. You’ll love these wine cork craft ideas here. Cool huh? The last thing I want to tell you is that once you’ve figured out how to make wine, you can get experimental with different flavors and varieties of grapes, even other fruit! This is a fun way to personalize the wine.